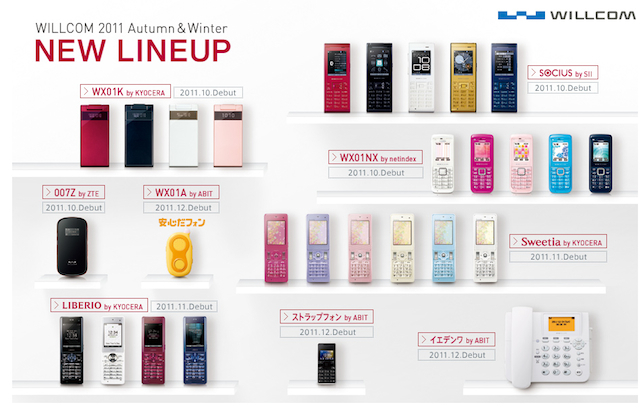 This coming autumn and winter, a Japanese PHS communication company Willcom release a variety of new phones. Look at the lineup of colorful and cool phones. Wait. Do you see something odd? At the lower right you can see one home phone among all of these mobile phones. This product is called “Ie-Denwa“. 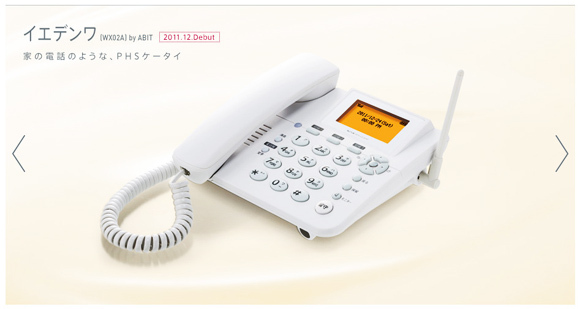 In Japanese, Ie means “home”, and denwa is “phone”. It’s quite amazing but not a joke. The power source of Ie-Denwa is an AC adapter, but AA batteries (x 4) also can be used. It means Ie-Denwa works even under disaster emergency situations (great! ), and also can be taken out with you (if you want LOL). And Ie-Denwa has big number buttons and a large display, so it is easy to use even for elderly people and children.